How to purchase a Tracking Number? To purchase a tracking number, from the Main Menu click on Call Tracking -> Purchase Tracking Numbers. 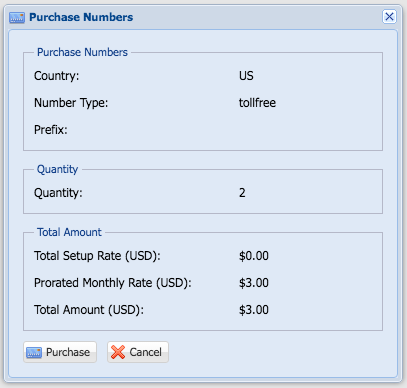 Select the Country and Number Type then Click Search Numbers. 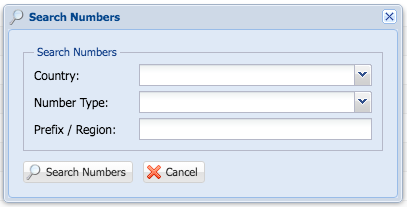 The Numbers Search Results will appear with all the numbers in our database. The Setup fee is a 1 one time amount per number that we charge you for purchasing numbers that require setup fee. The Monthly Rate (USD) is what we charge you for the numbers you select. A confirmation Purchase Window will appear to confirm your order. Review your order and Click Purchase if everything looks good. 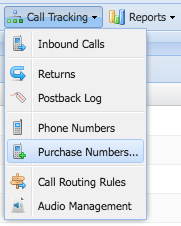 You can view all Purchased Tracking Numbers from the Main Menu -> Call Tracking -> Tracking Numbers.